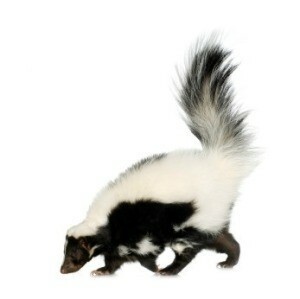 Skunk odor is very difficult to remove from pets and the carpet they rubbed on. This is a guide about removing skunk odor from carpet. How do I remove skunk odor from carpets? Skunk scent is an oil. My dog got skunked twice and I went on line here is what they said...One bottle of Peroxide, three drops of Dawn soap must be dawn and 1/2 box baking soda. Mix in a bucket, will foam up but that means the soda is fresh and the peroxide is fresh. Scrub area liberally and let sit. thank you for posting this! do you think the peroxide will bleach out my gray carpet? My dog got skunked the other night and we didn't realize it until he was in the house and rubbing his face all over my new carpet! Aack! I used the hydrogen peroxide, baking soda, dish soap mix on my dog so he no longer smells, but I can't get the smell out of my carpet. The skunk smell is still strong. Does anyone else have any other suggestions. The peroxide mixture would probably work, but I'm afraid it will bleach the carpet. My house smells disgusting! try a product called natures miracle available in pet stores.